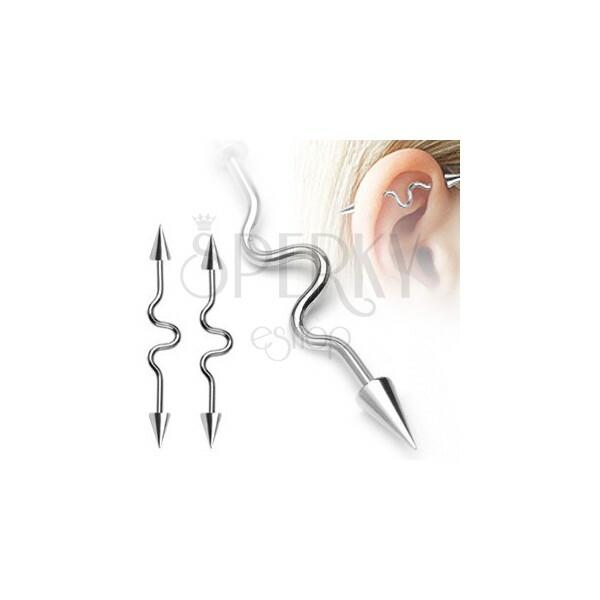 An ear piercing with a wavy shape in the middle. 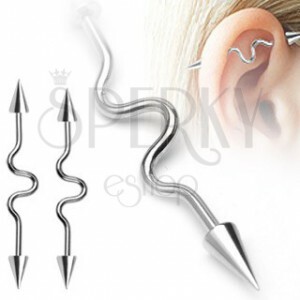 A silver coloured industrial ear piercing with a wavy shaped central part and spiky heads. Surgical steel pendant - Chinese character "LOVE"